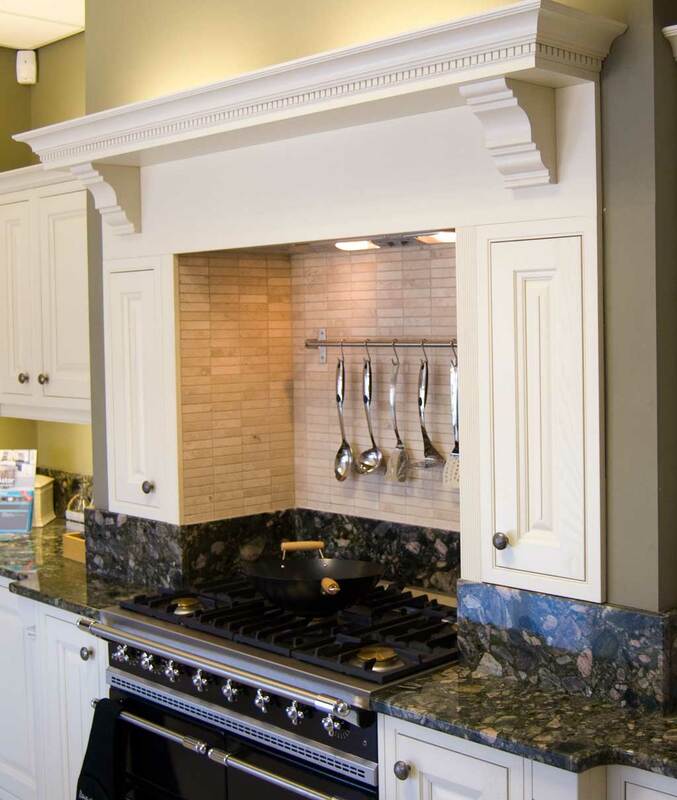 Home » Customer Questions » What Kitchen Accessories Or Features Are Available? 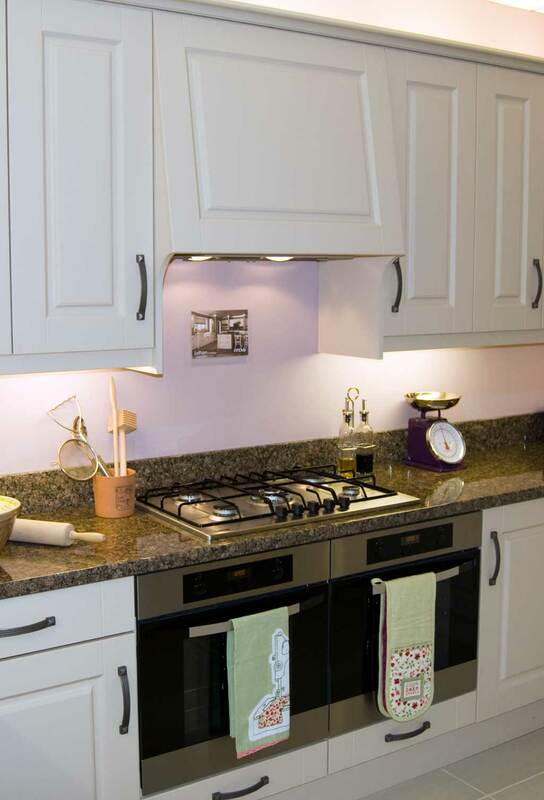 What Kitchen Accessories Or Features Are Available? When planning your kitchen design, don’t forget that there are units and accessories that you’ve probably never thought about that can really make your kitchen stand out from the rest. From plate racks, pull out ironing boards to pull out tables that fold away inside a kitchen unit, take the time to accessorise and create a kitchen that is completely your own! 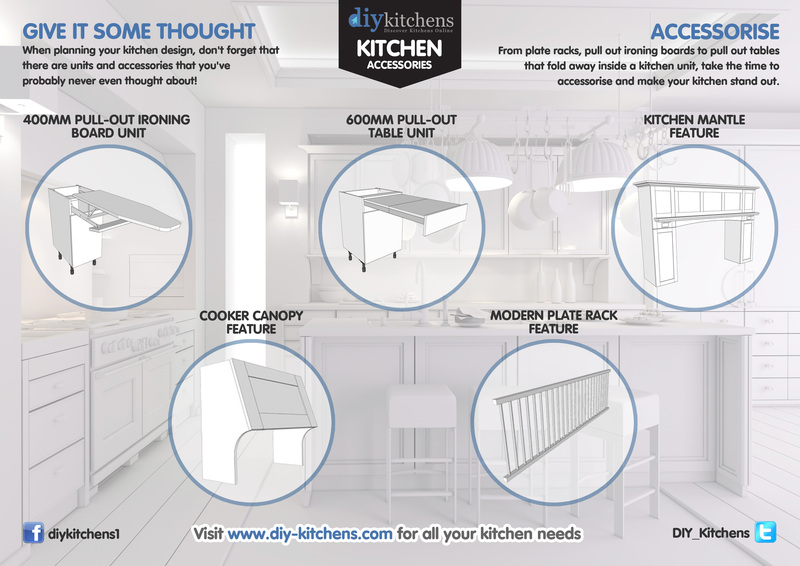 The Image below gives an overview of some of the types of accessories that are available for your kitchen. Click the image to see a larger version of it. 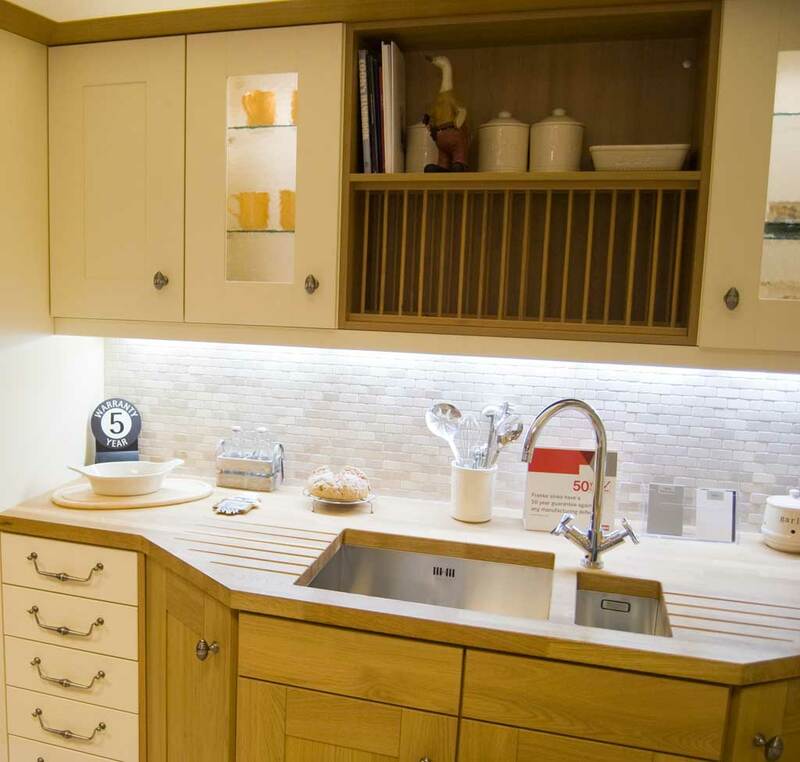 Below are some examples of kitchen accessories and features that are on display in our showroom. What is a kitchen unit service void?